The year that is 2015 has brought me into contact with what seems like a higher-than-normal number of travel products, travel-related websites and travel services that I never knew about before. From all sorts of travel communities to compact hammocks to online postcards to oddly-shaped travel pillows that actually seem to make sleeping on airplanes even more uncomfortable, new things are popping up in my inbox every day. If I were to remember them all, the list would be quite extensive. But just like I forgot to pack my suit pants last week while traveling to a family event on the other side of the country, by this point, I have forgotten many of the websites and apps and products that I’ve come across this year. That leaves just a handful of things that I do remember, travel-related things that have stayed in my memory probably because of their usefulness and/or the fact that they offer something unique that really caught my attention. As a result, and as you’ll see below, this is some stuff that I would recommend checking out because you never know what might help enhance your travels. A few times over the years I’ve mentioned that I personally do not like, or even understand, the concept of ‘travel clothes’. I’ve always just worn normal clothes when I travel and have never had any problems or faced any situations where I wish I had some specially designed clothes that are made with travelers in mind. And while I still don’t wear travel clothes all the time, I do have to admit that after trying the shirts and pants from Clothing Arts, I found myself feeling a little more comfortable about the idea. Adam Rapp, the CEO of the company, is about as passionate about his clothes as any CEO has ever been about their product, and when you have that kind of excitement behind the product, the result is often going to be quality. The Pick-Pocket Proof Adventure Travel Pants and the Travel Shirt, which are what I now own, are high quality indeed, as well as comfortable and actually sharp looking in my opinion. You would never know these are clothes designed specifically for travelers and they can therefore be used in all sorts of situations, from informal to formal. I’ve actually worn the shirt while walking around the beach in Spain and I’ve worn the same shirt while at a formal dinner in Istanbul as well. And not a single person commented that I didn’t fit in! The pants are similar, not your normal travel pants at all. The benefit of these clothes is that they are designed to protect your money, wallet, passport and other valuables without affecting design or comfort. There are pockets inside of pockets, hidden zippers and zippers inside of zippers inside of pockets. But from the outside, you don’t see any of this and they just look like normal everyday clothes. When you put your money and phone inside these theft-proof pockets though, there is no way anyone is going to take them from you. Not a bad bonus to good looking clothes. Many of us have heard of workaway.info and helpx.net, websites that allow you to find opportunities around the world to work in exchange for room and board. WorkingTraveller.com is a new addition to this concept and it operates a little differently. Second, the opportunities on this site range from volunteer to work exchanges to actual paid positions. 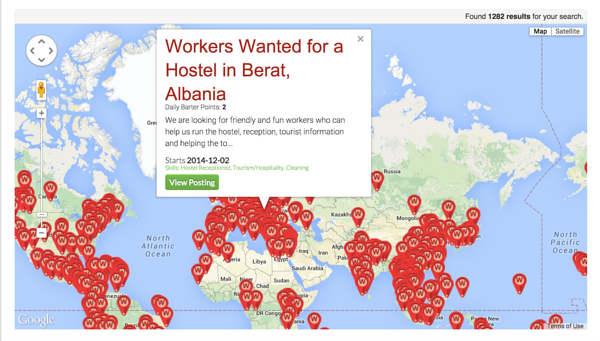 So now you can find paid work as you travel. You do have to create a profile and sign up of course but the normal membership, which allows you to access almost all of the features, is completely free. I haven’t used the site myself in terms of finding work, but I have spent a lot of time reading through it all and communicating with the founder. And with the number of opportunities on there, it seems like it would a no-brainer to add this to the list of websites to visit when trying to find ways to extend your travels, volunteer, do some work exchanges or earn money using the skills and knowledge that you already have. On the Minaal website, the first thing you see is a question: “So, you live on the road?” That pretty much sums up the thinking behind the sleek carry-on backpack they’ve designed. And a year or so after they first came into existence, I finally decided to try one out for myself. This backpack really is unlike any other I’ve used and as a result, it took some time for me to get comfortable with its design and ways to pack it up. Eventually, I did figure out how to maximize its lie-flat packing system and since then, this has been an excellent pack. It has a capacity of 35 liters, can easily be taken on a plane as a carry on, has a very sleek design, comes with a rain cover, is super comfortable to carry, the straps can be zipped away and it keeps your stuff very well organized. I don’t think I would be able to use the Minaal as my only backpack as I wander all over the place at this stage, as I do need a little bit bigger pack these days, but for trips up to a couple months in duration, this thing is as ideal as it gets since I can take it with me anywhere and it will never be a burden. For those who truly embrace the minimalist style of travel, this could definitely be the only pack you would ever need as it is designed specifically with you in mind. Over on their website they have a great deal of information about the product, as well as videos that show how different travelers have used the pack. Worth checking out if you are looking for a new under-40 liter backpack. At $299, it might make you jump at first, but when you consider this will probably be the only pack you would need for a long, long time, it will quickly sound much more reasonable. Over the past couple of years, I’ve mentioned Telecom Square a few times. 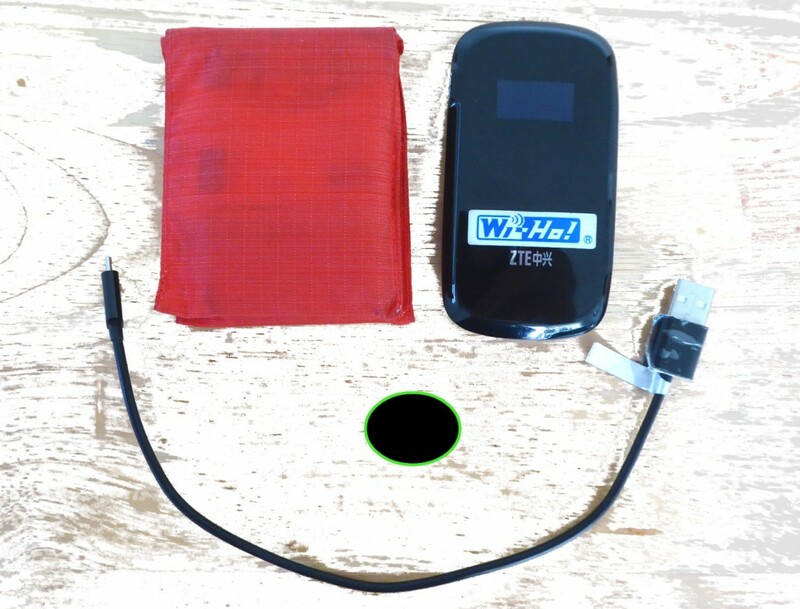 It’s a mobile wifi hotspot that I’ve been using every now and then. 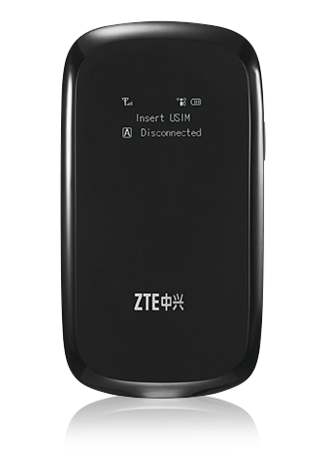 And while the company provided me with a device to test out, the reason I mention them is because I have been repeatedly impressed by how reliable this hotspot has been in countries all over the world (it works in over 90 countries). Wherever I am – India, Israel, Italy, Indonesia – I just turn it on and within seconds I have a solid internet connection. I can take it with me wherever I go (it’s smaller than an old flip phone), several devices can connect to it at the same time and one charge lasts about 5 hours of solid internet use. Yes, it is on the pricey side, about $12 USD per day for a single country device, so it’s not for everybody. (There are a variety of plans and they do have long term discounts that can knock it down to about $8 USD per day.) Some travelers really require reliable internet all the time when they are moving around and don’t want to worry about finding a secure connection everywhere they go. If that’s you, a mobile wifi hotspot could suit your needs quite well. FlipKey is Tripadvisor’s version of Airbnb, and they happened to get in touch with me earlier this year, offering me a chance to try out their service. So I did try it when I went to Italy back in April. The apartment I booked in Florence was amazing, two minutes walk from The Duomo and everything else I could possibly want to be a two minutes walk away from. The interior design, especially the high ceilings and massive windows made me feel as if I was in an Italian palace, even though the apartment was only two bedrooms. I loved the apartment and it was a fair price for the four of us that shared it, compared to booking hotel rooms. As for the FlipKey experience, well, it wasn’t the easiest. Most of the apartment owners I contacted would either tell me to visit some other website to make the booking (where they didn’t have to pay fees I assume) or the apartment they had advertised wasn’t actually the apartment they had available. Despite having 1651 listings in Florence for under $150 USD per night, it took quite a while for me to find an apartment that I could actually book on their site that was exactly what was advertised. With that said, the reason I mention it here is that I guess it’s worth looking at FlipKey if you do plan to do the apartment rental thing while traveling since the more options you have the better. And as is the case with anything, you could very well have a completely different experience on the site than I did. I literally slapped myself on the forehead when I first saw a Travelers Box kiosk next to my gate at the Ataturk Airport in Istanbul. “Such a good idea!” was all I could think. You’re leaving a country and you have some local currency, bills and coins, in your pocket that you no longer need. Now, instead of buying a tacky $22 “I Love Milan” hand towel at the airport gift shop, just to use up the money, you can deposit that money into the Travelers Box kiosk. When you do, you can choose to have the money sent to any of a long list of possible places, such as your Paypal account or Skype account or Amazon account and on and on. There are over 35 options for you to choose from. The money is converted into the currency of the account, Travelers Box takes their cut and the rest is all yours to spend once you get home. And it takes less than a minute to do this. Awesome, awesome idea and I think this will really take off. Right now, the kiosks can be found in only 7 airports in Turkey, England, Italy and Republic of Georgia but they plan to have over 30 more airports around the world added by the end of the year. Keep an eye out for them and soon enough you won’t have to waste your leftover currency when you travel. 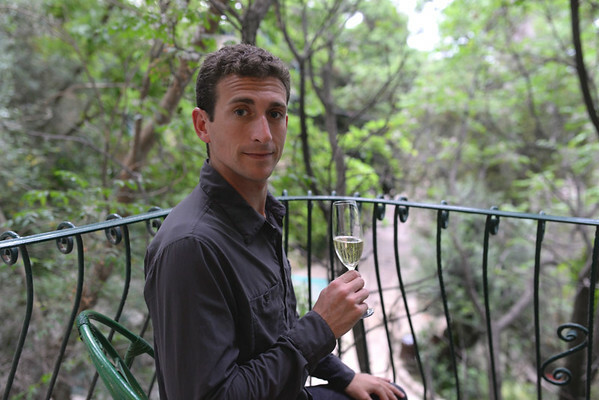 It’s an interesting idea – buying hotel rooms from people who can no longer use them. When someone can’t go on a planned trip but they’ve already booked their accommodation, they can now sell the hotel room on Roomer and travelers can purchase those rooms at a heavy discount. The seller doesn’t lose all of the money they spent to book their room, the buyer gets a great deal and everyone is happy. Of course, the only way this system will really work is if there are a ton of people using the site and re-selling their rooms or else the supply of rooms being re-sold will be too low. I recently used the site to book a room for myself and my mom on our recent trip to Oregon, but there weren’t any hotel rooms being re-sold in any of the destinations we were heading to. However, if there aren’t any rooms being re-sold, Roomer also has a normal hotel search engine and I did find a great deal on there for a three night stay. So it worked out in the end but I would have loved to find actual discounted rooms from people who couldn’t use the rooms they had already booked. Hopefully the offerings will grow and this will become easier to do. Definitely a site worth paying attention to. I’ve used money clips, strange rubber contraptions, normal clips and all kinds of wallets, but usually, after a short while, I stop using these money organization things and just throw my money and cards into my pocket without anything keeping them together. So, when I saw the Allett Wallet offerings, I thought that the same would happen. But, as a sucker for money and card organizing contraptions nonetheless, I decided to give this one a try too. It’s now been about 6 weeks and I’m still using it, and I have a feeling I’ll be using it for a long time. Its beauty is in its simplicity as they say. The one I chose is the Nylon Sport Wallet and it has three simple pockets – one for the bills, two slots for cards – that’s it. The key is that this wallet is super thin. Even with 10 bills and 10 cards in there, when I put it in my pocket, it’s barely noticeable and I can barely feel it’s even there. That made me a big fan. This wallet is also super tough which is important when traveling all over the place, and it also only costs $14.95, a decent price point I’d say. There are several other styles and materials to choose from as well. They can also be found, with reviews, on Amazon. That’s the roundup. Those are the travel products and travel websites that have caught my attention recently. I hope you find some of them useful and as always, if you do try anything that was mentioned, please let us know how it goes in the comments below! Have you already used any of the above? What was your experience? Any other cool travel-related websites, products or services you want to share? All are useful. I now know where to search for my next travel. Everything is worth visiting. Checking the sites gives me lots of options for my next adventure. Thanks! The Traveller Box is awesome. I recently flew out of Milan and saw one there. I was a bit sceptical so only put my change into it but it was so simple to use. I’ve been raving about it to everyone. Very useful! I would also mention Helpx, which is a volunteer based organization and site similar to WWOOF. Volunteer some hours and skills, and get to meet new people and have unique experiences in return. I am so excited to hear about Travellers box that is such a great idea and could have came in handy in the past. I hope they put them everywhere! Travellers box is genius! I haven’t seen one yet but I’m always in that position. Instead of buying crap I literally have an envelope filled with currency from all over the world. I seem to think I’ll end up going back and will spend it at some point but it never happens. I just pile up the small notes 🙁 Great idea! Great list of apps & products definitely like the pants/shirt that are made to be pick pocket proof. One app I’ve discovered over the past couple months is Trover. I have had a “Bellroy” Hide & Seek wallet for a few years now. It’s leather, and maybe a little more expensive because of it, but has been excellent!! 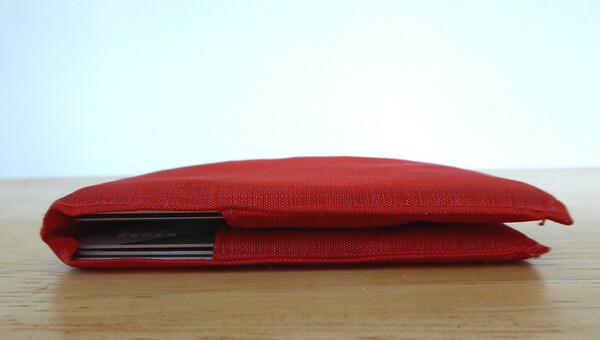 It has 3/4 hidden pockets inside one of which is in the billfold which is great, in my opinion it’s its best feature. When you open your wallet in a market and fumbiling around with foreigne currencies only a small amount of money is exposed, while the bulk of your money or bigger bills are neatly hidden. It is also very thin. The other hidden pockets are great for other credit/bank card, type cards making then harder to loose. To bad these hidden features are not in the Allett wallet. http://www.likealocalguide.com is a fantastic site/app if you want tips for things to see and do from real locals! Very informative Earl! Thank you for sharing. I’m definitely going to be investing in a few of these products. Hope all is well! Safe travels!